Size: approx. 8 mm. Photo: 08/18/11, 9 am. No, they do not eat wood :) These are Carpenter Ants (Camponotus sp.) on a pine tree twig. There are over 50 species in the US. Some nest in damp wood (others in soil) and hollow out small parts of trees. 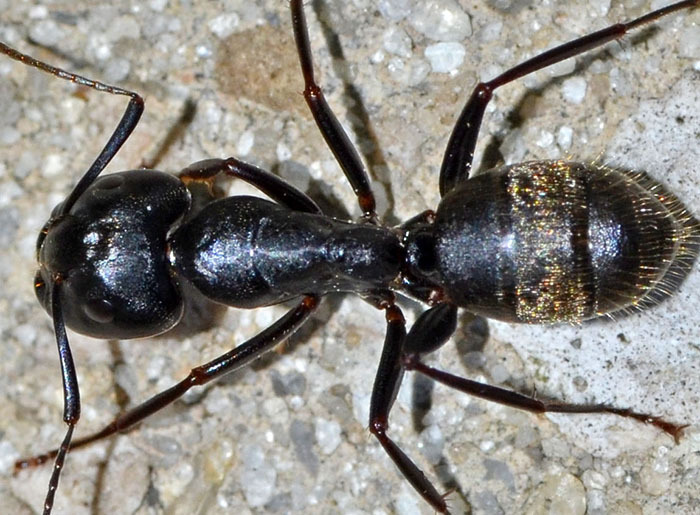 The black carpenter ant (C. pennsylvanicus) is the most likely one to infest houses (these here aren't black). 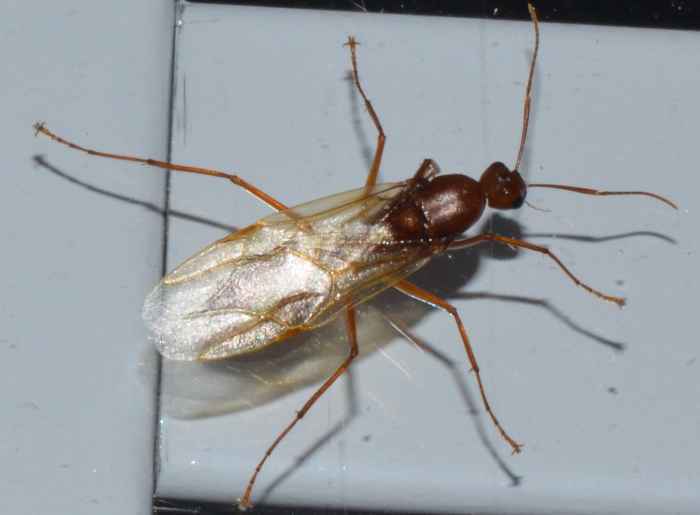 All ants in this genus have an obligate bacterial endosymbiont (Blochmannia). Camponotus floridanus (Florida Carpenter Ant) ♂. 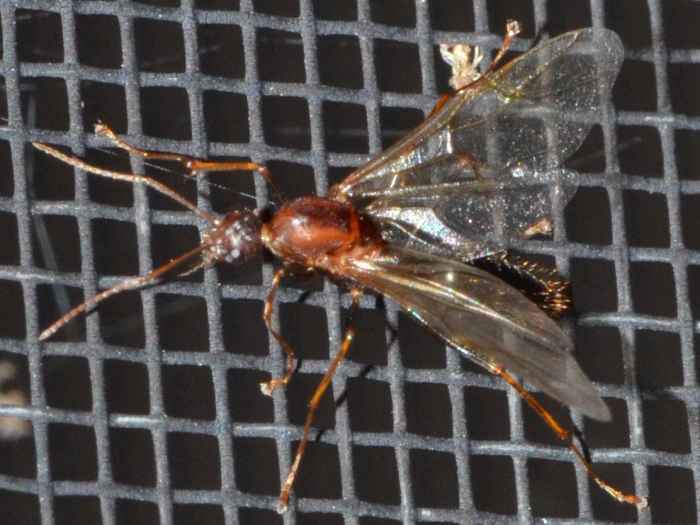 This winged insect is a Florida Carpenter Ant (Camponotus floridanus). In the US it is only found in the Southeast coastal plain. The ant alate in the small photo was seemingly attracted by the light in our living room (09/19/11, 9 pm). Camponotus castaneus (Reddish Carpenter Ant). Size: approx. 10 mm. Photo: 04/29/12, 11 pm. This Carpenter ant is Camponotus castaneus. 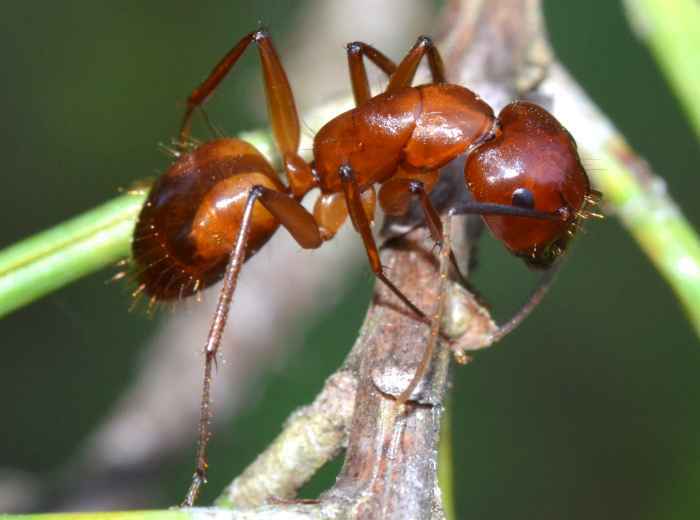 It belongs to the subgenus Tanaemyrmex. Citing from Krombein et al. 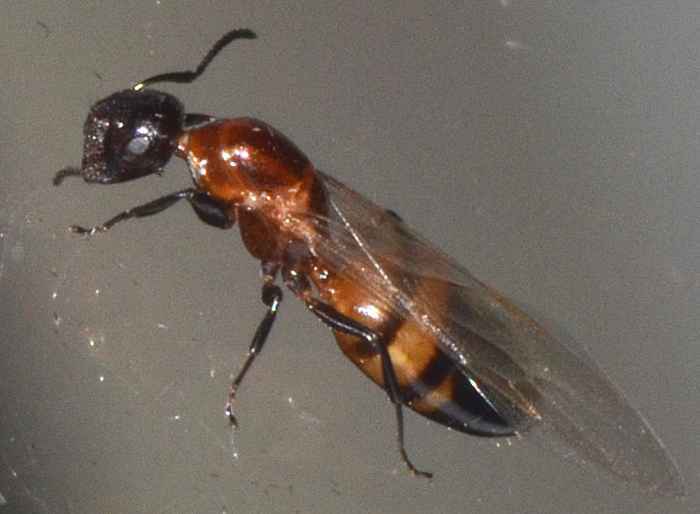 (Catalog of Hymenoptera in America North of Mexico): "Most species of this subgenus nest in the soil under stones or other objects; occasionally nests may be surmounted by a small crater. The ants rarely nest in wood, but, if so, the wood is usually buried in the soil." Size: approx. 7 mm. Photo: 05/24/12, 10 pm. This small Carpenter Ant is Camponotus impressus. 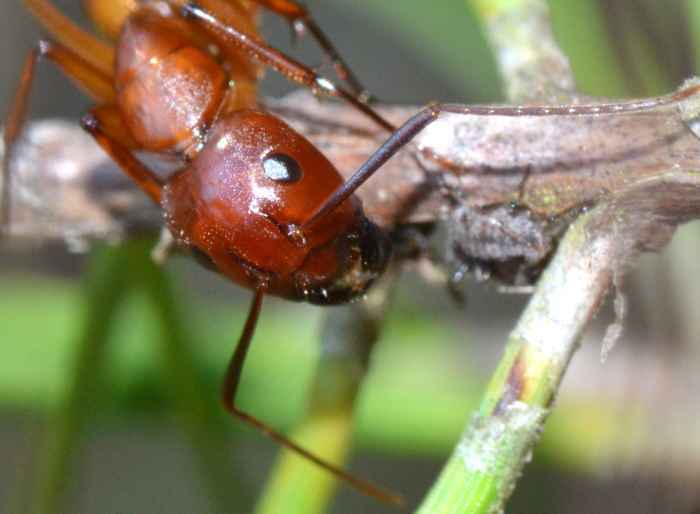 It impresses with a rather sculptured body and a large head that the ant uses to block the nest entrance, allowing entry only to ants from the same nest. They live in galls, twigs, and hollow stems of woody plants. Typical tree species include ash and elderbery oak. Mighty big ant, all black and covered with long, yellowish hairs. The presence of this species in Florida is limited to some counties in the north. It nests in trees and rotten logs or tree stumps. It also attacks fences, poles and buildings. 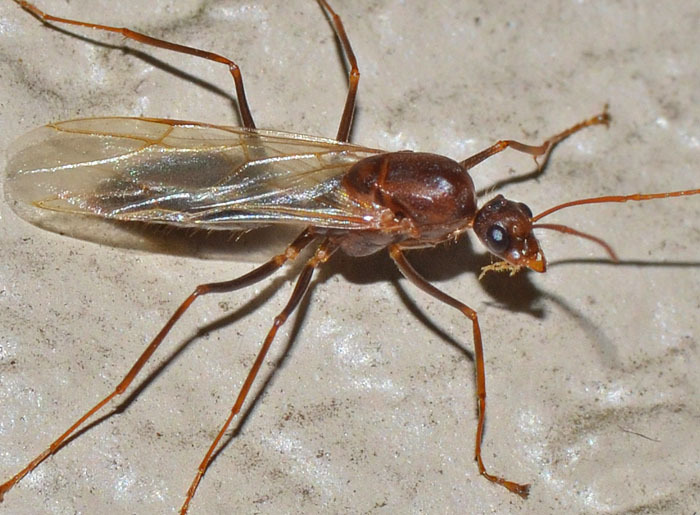 This is probably the most destructive carpenter ant in North America.